The estimated investment of approximately $700 million is the result of a data-driven, priority-setting approach led by Gov. Matt Bevin and backed by the 2018 Kentucky General Assembly. With limited dollars available for transportation, Kentucky is spending taxpayer dollars wisely to protect our existing roads and bridges. 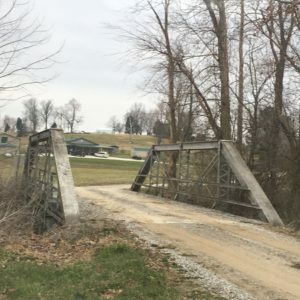 The bridge improvement program is focused on improving the condition of some of Kentucky’s most critical existing bridges, not expanding or widening the transportation system. Additional revenues will be needed to build new roads and bridges, an issue for continuing discussion by policy leaders. KYTC has assembled a professional engineering team to identify and develop cost-effective, time-saving approaches to rehabilitate or replace bridges currently rated in poor condition. The team will quickly evaluate and prioritize this list, which will allow construction work to begin across the state later this year. For additional information about the program, visit ourFrequently Asked Questions page.